Jessica, who has Down syndrome, wants to dispel some of the myths surrounding the most common genetic disability. On World Down Syndrome Day this year, Yooralla customer Jessica, who has Down syndrome, wants to dispel some of the myths surrounding the most common genetic disability. She says some of the most common misconceptions about Down syndrome are not only untrue, they can also be hurtful. 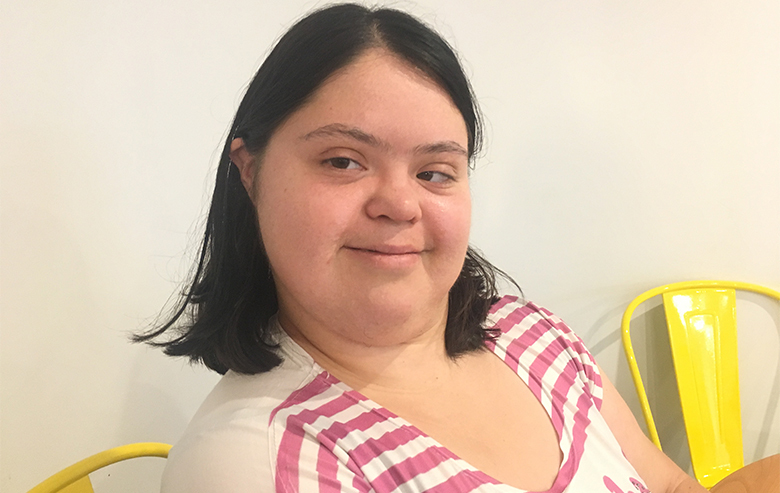 Jessica says that due to a lack of understanding, people often have low expectations and negative attitudes towards people with Down syndrome. She says this can often result in discrimination and exclusion. “People will often exclude you from conversations, which makes you feel uncomfortable. People often treat you and speak to you like you’re a child. I am a mature woman; I am 28 years old, so please talk to me like I’m an adult. People also don’t think you can achieve anything in life,” she says. Since completing a course in theatre from RMIT University, Jessica has performed in many live productions. “I love acting on stage in front of an audience and I never get nervous,” she says. According to Down Syndrome Australia (PDF Download, 204kb), Down syndrome affects, but does not determine, development. Everyone with Down syndrome will experience some delay in all areas of their development and some degree of learning disability, but this will vary from person to person. Jessica says that people with Down syndrome are unique – just like everyone else – and have their own talents, abilities, thoughts and interests. “I don’t want to be treated like ‘a special person’. I just want to fit in and be treated like an individual, just like everybody else,” she says. Jessica says every person with Down syndrome is different just like any other person. “For example, I was born in Melbourne but I am Colombian. I can speak, read and write in English and Spanish. I love reading and have a collection of books at home. I especially like comics; my favourite is called CHOOKIE – they are comic books – they are so funny!” she says. Jessica also loves travelling, dancing and acting. “I just came back from South America. I love travelling; I love different cultures, different people and food. I also love carnivals and festivals. I also love swimming and I competed at the Special Olympics,” she says. Jessica says people with Down syndrome are capable, have their own opinions and can be independent. “I know how to cook. I love cooking, especially Spanish food. I can use public transport and know my way around the city. I don’t need anyone to help me to get to places. I also love fashion and have my own style, even though my mum often doesn’t agree with it,” jokes Jessica. “I am proud of who I am and I want to encourage everyone to celebrate and adore their individuality,” says Jessica. 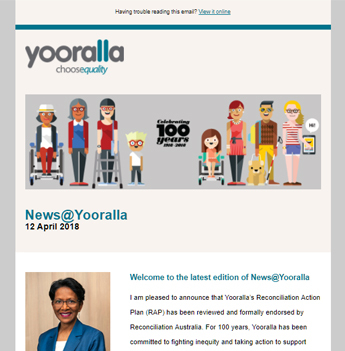 Jessica attends Yooralla’s Learning Hub – one of Yooralla’s Community Hubs, where adults with disability can access innovative and stimulating programs and activities designed to enhance life skills and promote choice, inclusion, independence and wellbeing.